If your business depends on getting a big consignment out of a port, but a customs official says it is not going anywhere unless you pay him $200, do you pay? That is a dilemma facing thousands of people every day in many parts of the world. "If you are a small company and need to get your goods through customs, it is a difficult moral choice," says Sir Mark Moody-Stuart, the former chairman of both the oil giant Shell and the global mining company Anglo-American, two of the biggest companies in the world. However, if you do pay a bribe you will be responsible for perpetuating corruption and you will almost certainly be committing a criminal offence. Furthermore, you will be adding an additional cost to your business. "When it is your business, the employment of your people, then I think paying a bribe is the lesser of two evils," Sir Mark says. However, to avoid paying "you just say no", he says - even though there could be situations where you will lose business if you do not pay, and that business could go to rivals. "Nobody has got a gun at your head - or only on rare occasions," Sir Mark says. "But generally you just say no, and then see what the consequences are. Citing an example he says: "We were asked by the Venezuelan ministry for $35m for them not to revoke our license. It was blatantly corrupt and the answer was no, and we've still got the nickel mine." Gary Busch, a logistics expert who has worked for companies that own and operate cargo vessels and aircraft in Africa, maintains it is not the job of business people such as him to try to change the culture of the countries in which they operate. "There is no moral obligation for anyone to refuse to pay bribes," he says. "But there are moral obligations to make sure that workers have work to do and that they are not starving. "It is very easy to stand up and cast your moral vote against corruption, but that doesn't help anyone get a job, it doesn't help them survive." Mr Busch insists that companies have responsibilities to the workforce and their families in addition to their responsibilities to the shareholders. "That is also a moral responsibility," he says. Sir Mark admits that he did once pay a bribe. "I was driving back from a camping holiday in Nigeria," he explains. "I had my family in the back and they had chickenpox and a policeman stopped me. "We had a long negotiation and in the end I bought them two cases of beer for the police Christmas party. When I'd done that, I told the guy to give my regards to the police commissioner. "He said that if I'd mentioned the police commissioner's name before, we wouldn't have had this problem," he continues. "That would have been equally corrupt." There was also a time when Anglo American paid money in South Africa, but Sir Mark insists it was only to support the political process. "It was a growing democracy and the parties needed funding," he says. "In that particular case, we broke our rule about not making donations and said we will make them, and declare them openly and publicly and we will give half the donations to the government and half to the opposition." The extractive industry operates over 30 or 40 years, so having a deal and signing the contract is just the beginning. "After that a lot of money flows into the country and as a mine or an oil well cannot be moved, it is better to get on with the folk in the country," Sir Mark says. 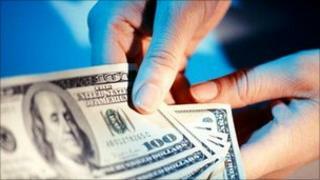 A bribe inevitably involves cash or expense at some point. If a company wants to better its relations with a country, it might be suggested that the president's wife runs a cultural organisation and if a donation into what just happens to be a bank account in Switzerland was to be made then this cultural organisation would flourish. It might sound like a good proposal, but it is a form of corruption. Likewise, a company could start a community project that is not related to its business, but happens to be in a particular minister's home constituency, just before an election. "It is an infinitely complicated subject," says Sir Mark. "Bribery has lots of ramifications and complexities and different people draw the line in different ways." He acknowledges, however, that big companies are better resourced to refuse to do business if it means paying bribes and that smaller companies may not be able to afford to take the moral high ground. Mr Busch points out that there are countries where corruption is minimal, yet a form of it still goes on under a different guise - called lobbying. "They pay contributions to the political campaigns. Sure, that is not corruption. That is lobbying." There are an estimated 15,000 lobbyists in the European Union, representing a company or a group of people who want something from the politicians. "Officials in African countries routinely take money to issue contracts, but I would suspect more money is lost in Washington, Milan, London or Dusseldorf in one week than is lost in Africa in a year," Mr Busch says.